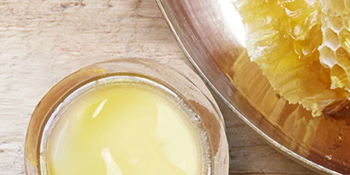 Royal Jelly is also known as “bee’s milk” and is made by the hive’s worker bees for the queen herself. It has been used for centuries for its anti-aging properties and has inspired us to infuse Royal Jelly into our hair products to provide essential nutrients for our customer’s hair. Why did we create Amaxy Royal Jelly Essence Shampoo? Amaxy Royal Jelly Essence Infused Shampoo was created for those who suffer from very dry, damaged, and frizzy hair. Our shampoo also helps combat and remove oily hair and irritation. Our Royal Jelly Essence Infused Shampoo gently cleanses, detangles, and softens hair. It is naturally high in protein, which introduces anti-aging properties that rejuvenates and nourishes the hair and scalp, while promoting healthy growth and protecting hair from the natural elements. Sustainable: All of our ingredients are naturally sourced and contain little to no chemicals. Free of PARABENS and PHTHALATES. Originality: We are pure and simple. Inspired by bees, we created our own formula to make our customers’ hair as healthy as possible. Uniqueness: We love being different, from our distinctive ingredients and design of our bottles, to our quest of sustainability, we create our own beauty lifestyle. Cruelty-Free: We do not test on animals and no bees were harmed in making of our products. What hair types does Amaxy Royal Jelly Essence Shampoo works best on? It works fantastic for all hair types! Amaxy Royal Jelly Essence Infused Shampoo is perfectly suitable for women, men, and children of all ages and hair types. The royal jelly balances the scalp’s oil levels keeping hair grease free, moisturized, and eliminates irritation of the scalp. Amaxy Royal Jelly Essence Infused Shampoo works for color treated hair too. The fat content in royal jelly seals in moisture and nourishes color molecules within the hair strands, ensuring softness and removing squeakiness in the hair after washing. Aqua, Sodium laureth sulfate, cocamidopropyl betaine, cocamide mea, dimethicone, polyquaternium-10, parfum, royal jelly extract, citric acid, methylchloroisothiazolinone, methylisothiazolinone.